Hey guys, here’s some news! Castoff is gonna be going on break starting next Friday while I’m away from my computer traveling! I know this isn’t the best time (we’re right in the middle of a fight scene oTL) but that’s the way the cookie crumbles, unfortunately. 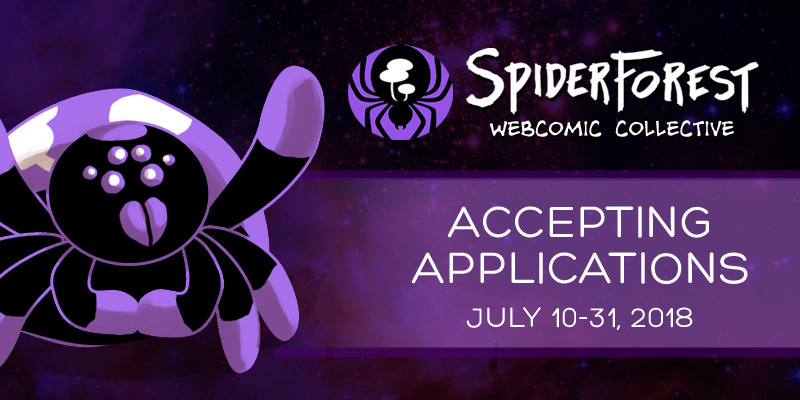 Also, Spiderforest Webcomic Collective is currently accepting applications for new comics! Fellow creators, this is your chance to be part of an AMAZING community! Go check it out!